Zaporizka Sich. 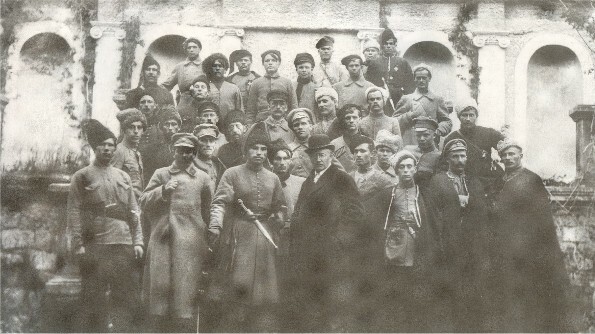 A military unit of the Army of the Ukrainian National Republic organized in November 1918 in Katerynoslav. Its initial cadres came from the Railway Guard Corps. In April 1919 it was reorganized into the Second Sich Division. It was commanded by Otaman Yurii Bozhko. Its top combat strength was 1,200 soldiers. The division suffered heavy losses during 1919. Some of the survivors took part in the First Winter Campaign (1919–20) in the ranks of the Volhynian Division.